OCEAN GROVE, NJ – “Tandem Radio: The Good News on Business” will launch Saturday, July 24, 2010, from 11:00 am to 12:00 noon with a live broadcast from the Boardwalk in Ocean Grove, NJ. The hour-long radio program, which will air every Saturday, focuses on the needs of business and entrepreneurs and will be broadcast on NJ & NY radio stations as well as the Internet. “This is a radio show committed to helping business owners, managers and those who interact with them, and will seek to provide the answers you need to take your business to new heights,” said host Glen Dalakian, an entrepreneur, consultant, blogger and motivational speaker. “Through weekly broadcasts with expert guests, this show will help business owners not just survive, but thrive,” adds Dalakian. On the show, we feature dynamic segments that will help listeners reach their business goals. Special guests will include authors, celebrities, professional athletes and experts in topics like marketing, social media, finance, business law and human resources. Listeners will be able to phone, text or email in during the broadcasts to interact with the host and his guests. The July 24th kick-off will take place in front of a live audience and will coincide with Bridgefest, a Christian festival attended by over 12,000 people. 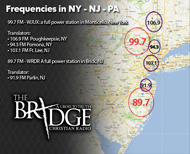 In the following weeks, the show will continue to broadcast live from the Bridge FM studios every Saturday morning. “Call in with questions and get the direct answers you need to help you do business.